Oprah Winfrey famously said, “A mentor is someone who allows you to see the hope inside yourself.” At Thinkful, this principle is the foundation for our 1-on-1 learning approach. Our mentors find, share, and illicit hope, after first achieving professional success. However, perhaps the greatest benefit of working with a mentor when you’re learning a new professional skill lies in being human with another human – a person who not only excels at web development or data science, or is a clear and informative instructor – but someone who’s comprised of real flesh, blood and human spirit. Thinkful mentors are whole people. They love the topic they’re nurturing, but they also love life. Denver is indeed growing! Colorado is the 7th fastest growing destination for new residents, according to reporting from The Denver Post. 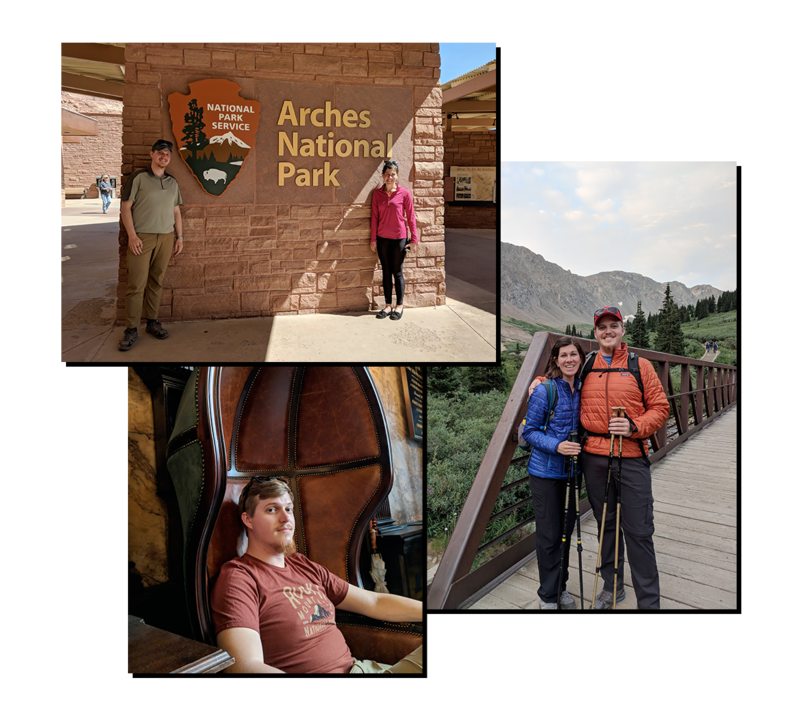 For Maciek and Allyson, Denver offers access to the arts, fun stuff to do, and a LOT of nearby hiking spots. “I’m somewhat big into road cycling,” he confesses, along with mentions of recent backpacking trips to national parks. Maciek also appreciates the River North Art District in Denver (a.k.a RiNo): “Every year, they do something called CRUSH,” he explains. “Different artists do murals around the area. This year they expanded the area by something like three times.” It’s big: more than 70 artists participated in 2018. Maciek skipped a grade in high school, speaks three languages, and is dabbling in leather crafting. He loves to travel: “I had the good fortune that my parents are big travelers,” he says. Oh, and did we mention he has a PhD in Computer Science from Northwestern University? His work outside academia – and what he’s able to coach at Thinkful – includes Ruby, Python, Kotlin and Node. As he puts it: “(I) love nerding out, especially over the history of computer science.” What this means for his mentees is nothing short of marvelous. They get a lot of knowledge, enthusiasm and – yes! 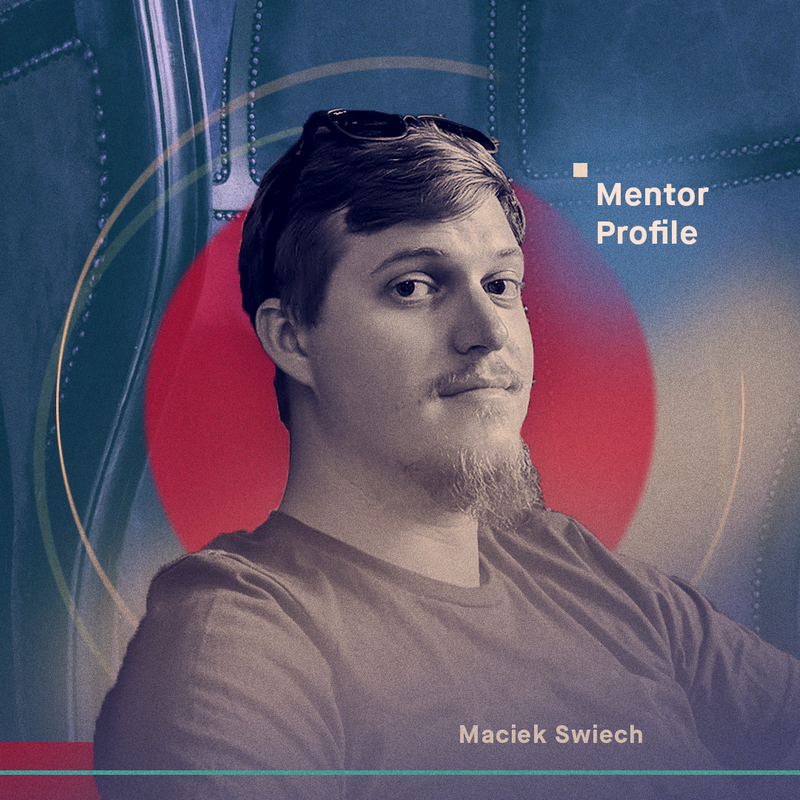 – hope when working with Maciek as their 1-on-1 mentor. Like Maciek’s story? Find out more about the Thinkful mentor philosophy on our How We Work page.